It’s finally here.. my summer journey through Sarek national park in Northern Sweden. I will be leaving from my apartment here in Umeå at 06.30 in the morning by train, and arrive at the gates to Sarek at 17.30 in Ritsem. My journey through sarek if I hussle shoudn’t take more than 5-6 days, however since I plan och doing a lot of day trips, climb several of the higher peaks and do some fishing along the outskirts of the park (fishing is illegal in the park). I plan on pushing my journey to around 10 days. Basically just living life and enjoying my time in some of the more secluded parts of europe. 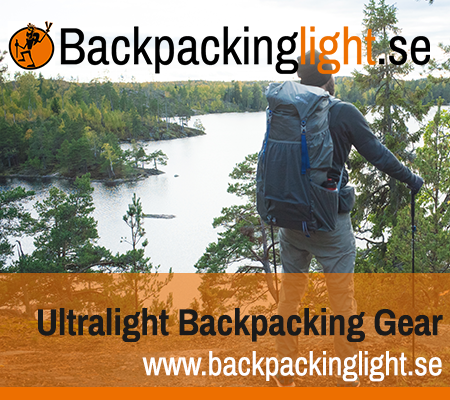 There are no trails, stores or cottages in Sarek, so everything I need on the trail I will have with me in my backpack. 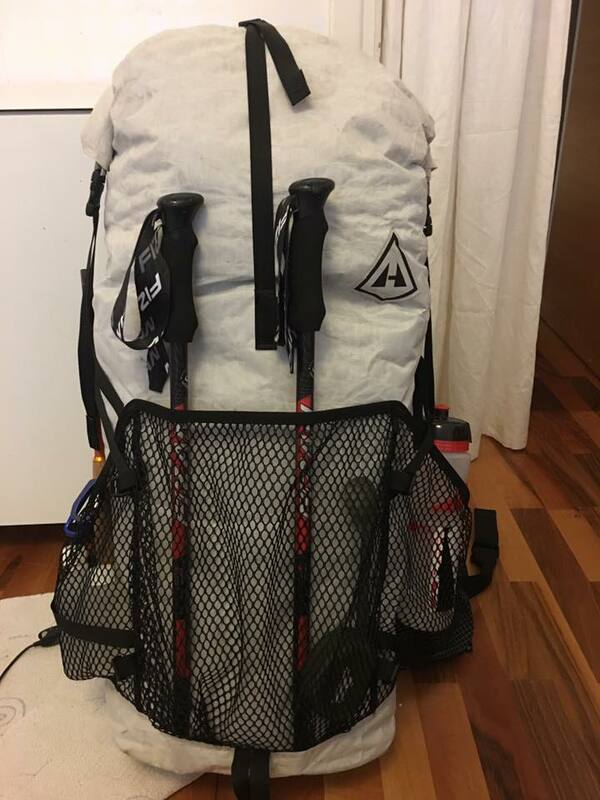 I have made some changes to my gear since making my last post, that have increased the total weight of my packing by about 600 grams. I can live with the extra weight as it is justified by the added warmth and security along a wet and cold trail. The trail this year is much colder and wetter than usual, which means I have to be better prepared for these kinds of conditions, hence the extra weight in rain gear and warmth. I traded out my thermarest xlite small and ul sleeping pad total weight 350grams for the warmer and larger thermarest xtherm weighing 580 grams. There is still a lot of snow along the trail and I don’t want to have to compensate a cold nights sleep by bringing more sweaters and jackets and so on. I also traded out my Ricoh GR for my Sony rx 100. Same weight, same usb charging, only rx100 gives me the flexibilty of good video and zoom. Tenkara rod and flies – I added this because, why not! 130 grams for a complete fishing kit. Seems like a small sacrifice to have in some of the worlds best fishing waters. 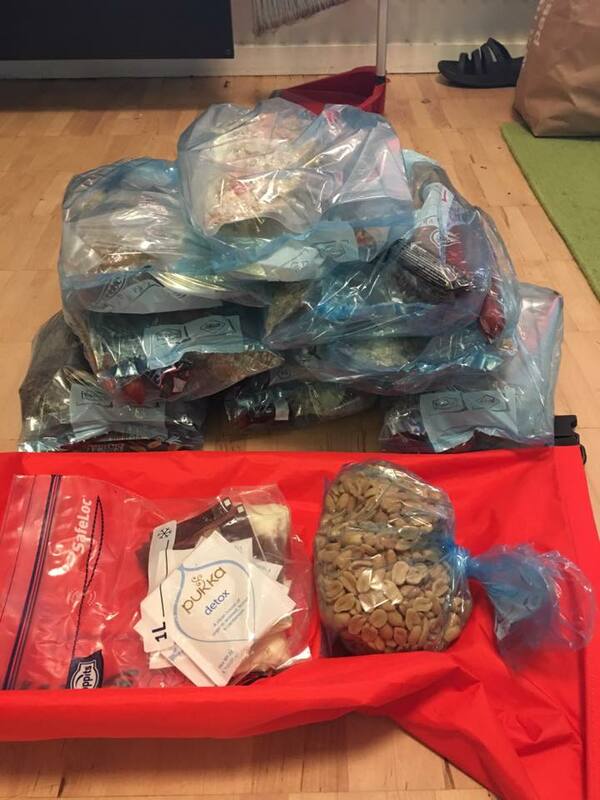 All the food being prepared for it’s stuff sack, a 13 liter sea to summit bag. My route has not changed since the last time: I will be starting in Ritsem and finishing in Kvikkjokk. Should be a great little trip! This is the straight trip to kvikkjokk, but as I’ve said, I plan on making a lot of daytrips and sideroads along the way. Why the Trailstar over your beloved Duomid? I wanted to give the trailstar an honest go this time around. I’ve been using it throughout 2017, while it’s certainly a great shelter, I definitely at this moment prefer the duomid. Two completely different shelters, but I like the useable area of the duomid. The trailstar has a lot of floor space, but also requires a lot of creeping around on knees to get around. The duomid is just in and out, can do gymnastics inside without scraping around..
Fun to read about your upcoming adventure! Me and my sambo are going to Sarek in week 32. Starting in suorva and end in Ahkka/ritsem. I have followed smhi’s “vattenwebb” closely to try to figure out if it’s more wet than usual. What sources are you relaying on when it comes to temperature and water level? Looks like a nice route. Looking forward to your photo report! Also, I wish you all the best and to enjoy your time out there. That will be a great trip! I’ve been to Sarek myself in 2015. On your map i can see that you are passing the mountain Nammatj? You should definitely spend night on top of that mountain, the views from there are amazing and probably nobody will be there (instead of the Skierffe, which is a bit more “crowded”). Top of your water when you start the climb to the top, there is almost nothing up top. I saw that you changed the Exped thunder pack by the HMG Winrider two year ago.